I’d like to share an up-date on the thru-hiking class of 2016 as they attempt to hike the Appalachian Trail. I have been following the online journals of thru-hikers posted on trailjournals.com. There are now 214 thru-hikes that I have been able to loosely monitor throughout this hiking season. I have included in my personal research those who started their journey between January and July 2016. Of the 214 attempts, 142 hikers have ended their hikes short of the goal of completion (66%). There are many specific reasons for ending the journey but I tried to categorize them into general trends. Unfortunately, 62 of the 142 just stopped journaling without any reason for the absence. If a hiker has not submitted an entry for eight weeks, I have taken them off my active list. Prior to the end of the season, I will double check to see if someone just went silent for two months and then resurfaced as an active hiker. Thirty-nine hikes ended for physical reasons (ankles, knees, illness) and thirty-two hikers came off the trail for mental and emotional reason (homesick, tired of the trail, discouragement). Three hikers ran out of the time that they had available to accomplish the trek and six others posted a good-bye entry without giving a specific reason for ending their attempt. 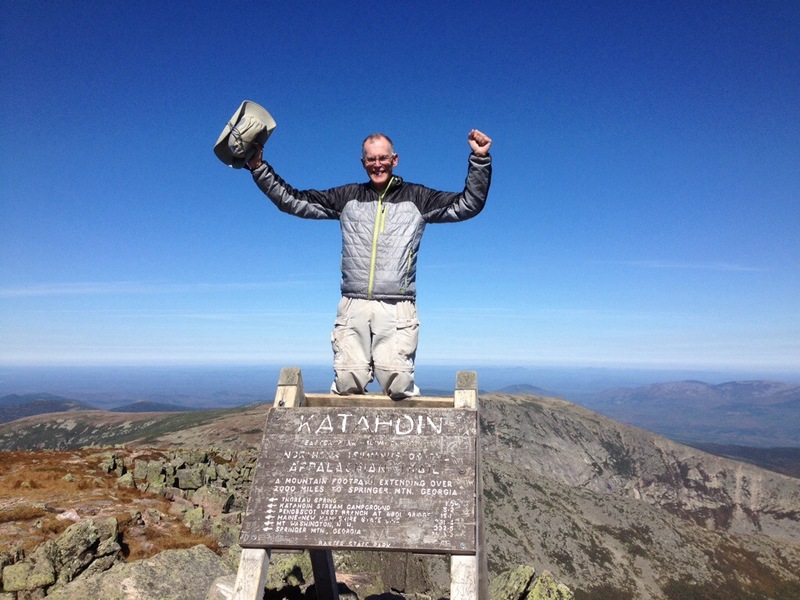 On the other side of the coin, 21 hikers have reached Mount Katahdin in Maine and have raised their hands in victory atop the Brown sign on the norther terminus of the AT (10%). The average journey has taken 158 days. The longest trek logged in at 209 days (Slip Knot – Matt McCoy from Vermont) and the fastest journey took just 114 days (Coach – Ken Durham from San Diego, California). Of those that have completed the trail so far, one started in January, five began in February, twelve stepped out in March and three initiated their thru-hikes in April. Currently, there are still 51 hikers maintaining an online journal. Some are very close to completion other still lack significant mileage. Weather will soon become a major factor for those headed NOBO (northbound). Katahdin will begin to experience major winter weather around the middle of October. Several of the 51 remaining hikers are SOBO hikers (those who started in Maine and are hiking south bound) or those who have decided to make a flip-flop attempt (they have interrupted a NOBO hike, traveled to Maine and are now heading back as SOBO hikers to their point of departure). These hikers have more time for completion before the weather becomes a major detergent. I have been closely following several thru-hikers: The Two Peas, Dulcigal, and Fat Hen & Rooster Talon. All of them are still on the trail and putting in miles. I will blog about their progress later this week. I will also share, in the next couple of days, a story of a thru-hiker that came up 5 miles short of completing the hike. Statistically over the years, about 25% of those who start a thru-hike complete the journey. I am anxious to see where this group of online journalists falls in this overall statistic. If all 51 current hikers reach the finish line, they will enable the group to reach the 33.6% level. For all who hike the Appalachian Trail, their lives are touched forever; for all those who will learn from the experience, their adversity turns into adventure and their lives are transformed by the power of God’s creation. If you like my blog, and I hope you do, check out my book, Hike It Forward, on Amazon.com. Click on the book cover and it will take you to my adventure on the AT.